There has been a church in Glory Mill, Wooburn for over 100 years. 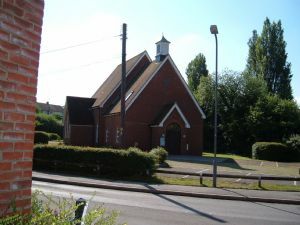 In 2000 we moved into a new purpose built church, in Glory Mill Lane. Over the past few years this has grown into our Pastoral Centre, and is now used by many local community groups. We have a lunchtime communion service on Fridays (term time only) starting at noon, and followed by lunch. Various other groups also meet at the Pastoral Centre, and this has become a very important place within the local community. For details of our regular users please click here.